Production Process Our Advantages The level of processing We have many sets of CNC lathe starts at the same time. Our company integrates scientific research, product development, manufacture, marketing and service as a whole. Honestar company regards ''reasonable prices, efficient production time and good after-sales service'' as our tenet. 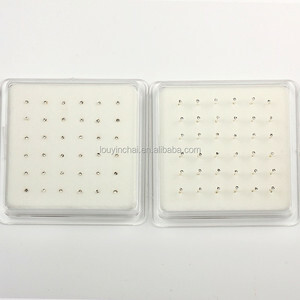 Guangzhou Ason Jewelry Co., Ltd.
2. 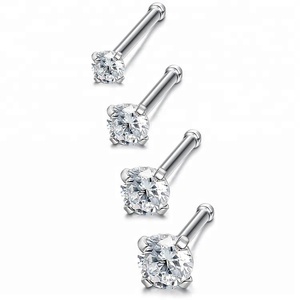 Stainless steel jewelry is very corrosion resistance. 2.If buyer has any other special request for INV, pls tell us before shipment. 3.If there is custom problem occur, sure we will try our best to assist buyer to solve it. 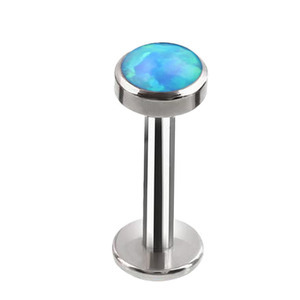 3) Our goods meet European Standard, we can offer testing report when needed. 1) If you find any item has quality problem, please take clear photos and contact us within 7days. After hearing the problems, we will contact you within 24hours, and offering solution for you. 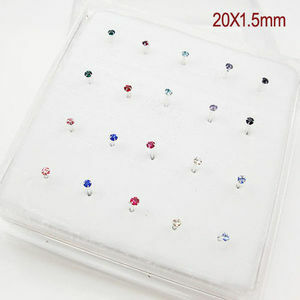 If for any reason you are dissatisfied with a purchase, please contact us and we'll assist you with a prompt solution. Only unused, undamaged and original condition item can be qualified for a return. About Us: Please don't hesitate to contact us If you have any questions about our products. Our products are popular in South America, North America, Europe ect. With a variety of offerings to choose from, we're sure you'll be happy working with us. Look around our website and if you have any comments or questions, please feel free to contact us. 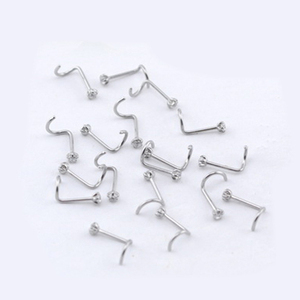 Alibaba.com offers 6,634 nose studs products. 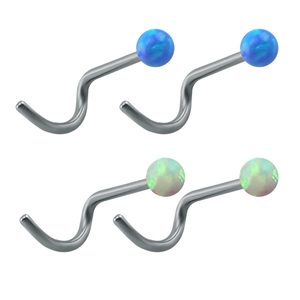 About 94% of these are body jewelry, 64% are stainless steel jewelry, and 8% are silver jewelry. 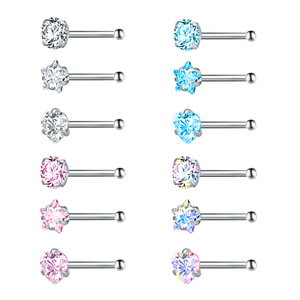 A wide variety of nose studs options are available to you, such as anniversary, engagement, and gift. You can also choose from children's, men's, and unisex. 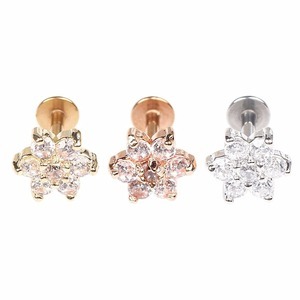 As well as from stainless steel, silver, and crystal, rhinestone. 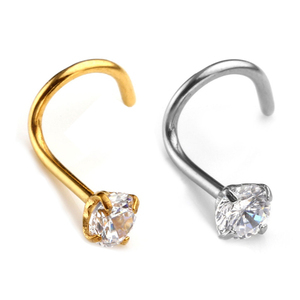 And whether nose studs is body jewelry, bracelets, bangles, or earrings. 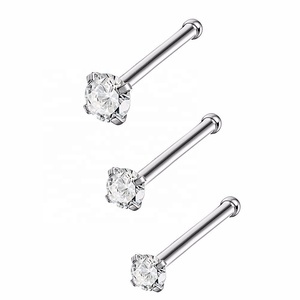 There are 6,469 nose studs suppliers, mainly located in Asia. 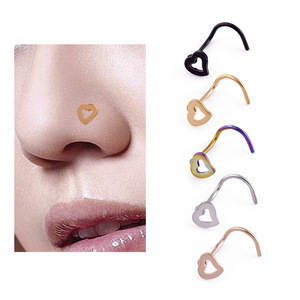 The top supplying countries are China (Mainland), India, and Thailand, which supply 93%, 4%, and 1% of nose studs respectively. 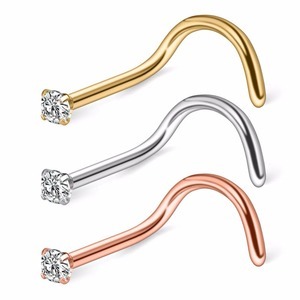 Nose studs products are most popular in North America, Western Europe, and South America. You can ensure product safety by selecting from certified suppliers, including 162 with Other, 67 with ISO9001, and 16 with ISO14001 certification.